This DevOps course is designed to provide students with a look into the DevOps cultural and professional movement that stresses communication, collaboration, integration and automation in order to improve the flow of work between software developers and IT operations professionals. Improved workflows will result in an improved ability to design, develop, deploy and operate software and services faster. The course includes a 60 minute exam, consisting of 40 multiple-choice questions, successfully passing (65%) the exam leads to the DevOps Foundation Certificate. 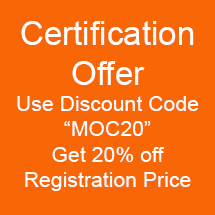 The certification is governed, administered and maintained by the DevOps Institute.